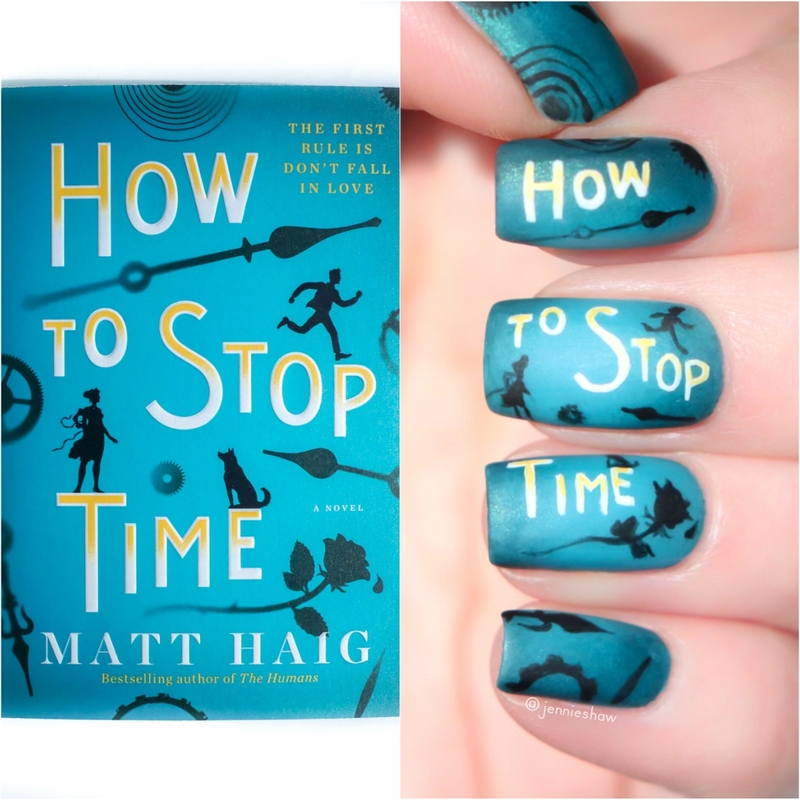 HOW TO STOP TIME is the tale of Tom Hazard, a man who ages at a much slower pace than the average person. Haig's beautiful writing had my heart hurting for Tom pretty early on, with an extra one-two-punch that left me burning through pages (but not the sort of one-two punch you’d think, because I’m anti-spoiler and would never do that to you). In short, this novel was another “Matt Haig” experience, because reading his work always be an emotional workout. "The first rule is that you don't fall in love, ' he said... 'There are other rules too, but that is the main one. No falling in love. No staying in love. No daydreaming of love. If you stick to this you will just about be okay.'" Tom Hazard has a dangerous secret. He may look like an ordinary 41-year-old, but owing to a rare condition, he's been alive for centuries. Tom has lived history--performing with Shakespeare, exploring the high seas with Captain Cook, and sharing cocktails with Fitzgerald. Now, he just wants an ordinary life. So Tom moves back to London, his old home, to become a high school history teacher--the perfect job for someone who has witnessed the city's history first hand. Better yet, a captivating French teacher at his school seems fascinated by him. But the Albatross Society, the secretive group which protects people like Tom, has one rule: never fall in love. As painful memories of his past and the erratic behavior of the Society's watchful leader threaten to derail his new life and romance, the one thing he can't have just happens to be the one thing that might save him. Tom will have to decide once and for all whether to remain stuck in the past, or finally begin living in the present. The story offered a balance of present and past, including scenes with well-known historical figures and good gravy, were they amazing. History (albeit fictional) through fresh eyes and suddenly, I was wholly interested in Shakespeare and Captain Cook. I think it’s because according to Tom, these figures were actual people, not the two-dimensional folks we learned about in textbooks. I won’t name drop Tom’s one-degree of separation in regards to some of the more recognizable influencers, as they were the hidden truffles in an otherwise packed box of literary chocolates, but rest assured Tom's past is packed with goodies. That’s what you get in HOW TO STOP TIME, an introspective look at Tom’s past and how it has shaped his present circumstance. Through it all, Tom’s melancholy tone put a cautiously optimistic pit in my stomach as I rooted for him to reclaim his life. 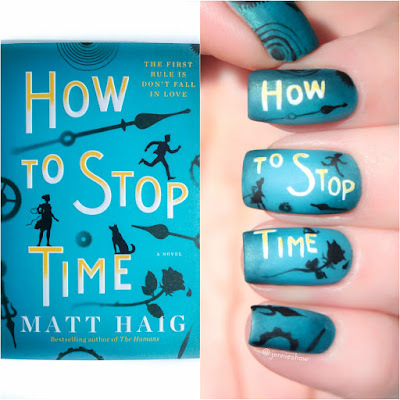 Only Matt Haig could create such a seamless fusion of fiction and what it means to be human. Similar to when I finished THE HUMANS, HOW TO STOP TIME left me with much to think about and I frickin’ love when a novel inspires a bout of personal contemplation. An easy five-star read for me, HOW TO STOP TIME is the perfect book for a thoughtful and compassionate individual, and while there’s a slight time-travel element, it’s not one traditional. 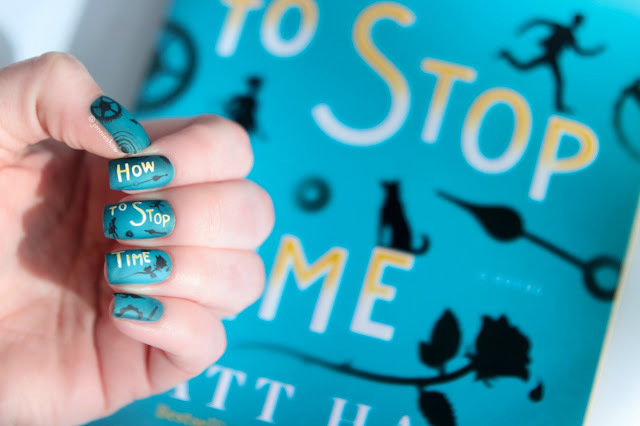 You may cry, but it’ll be cathartic, so make sure you have some tissues on hand and above all else, prepare yourself to be whisked away for approximately three hundred pages because it’s the sort of novel you’ll want to read all at once. Thanks to HarperCollins Canada for a finished copy! 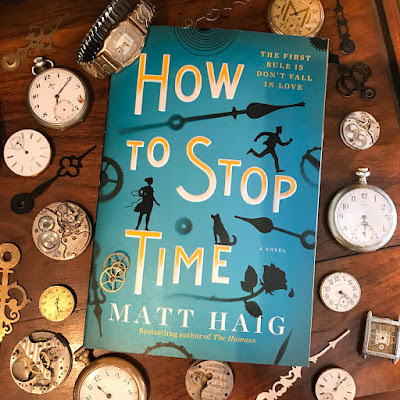 As an extra bonus, check out some pictures from Timepiece, a wonderful clock store in Cookstown, ON, where I was generously allowed to take a bookstagram with stunning vintage watches!! Thanks again, Bogdan!! Your shop is extraordinary! Sounds like a cool store. Have a great weekend.